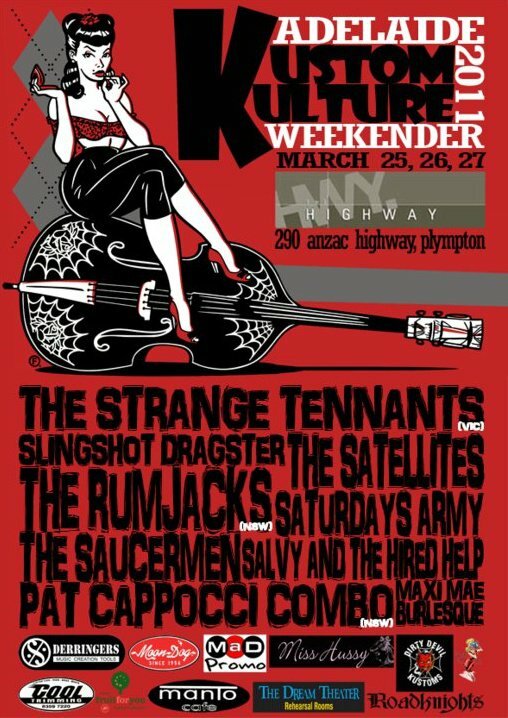 So there are lots of ladies out there getting ready for Viva Las Vegas 2011...Well here in Adelaide we have our own little rockin' weekender coming up call Kustom Kulture. This year will be our 6th time going (I think) and we ALWAYS have a ball! 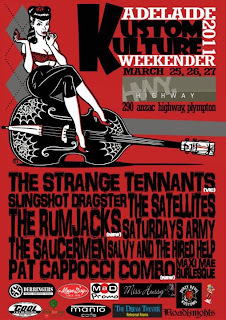 Of course KKWE is much, much smaller than many of the rockabilly festivals in the states but it's great fun none the less. There is alot of variety, which I think is why KKWE has gotten so popular over the years. The weekend kicks off on a Friday night with a bunch of bands from South Australia and Interstate. The line up is fantastic, with The Saucermen, The Rumjacks and Pat Capocci Combo, as well as a performace from Miss Maxie Mae from A Wink and A Smile. I have seen Pat and his boys play two or three times now, and each time they just get better and better! 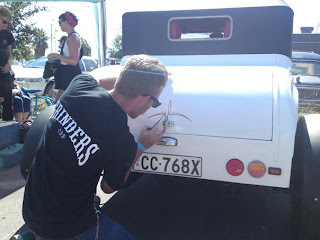 Pat hails from the Maitland-Hunter region of New South Wales, and is one talented guy! He plays in a few bands and is signed to Australia's famous rockabilly lable, Press-Tone Music International. Cheak out Pat's website here to get to know a bit more about him. I personally can't wait to see him again! 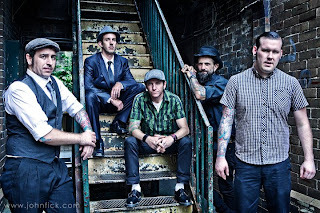 Another interstate act, The Rumjacks, are Sydney based boys who play some rockin' blue collar brand of folklor 'rotgut n' roll. 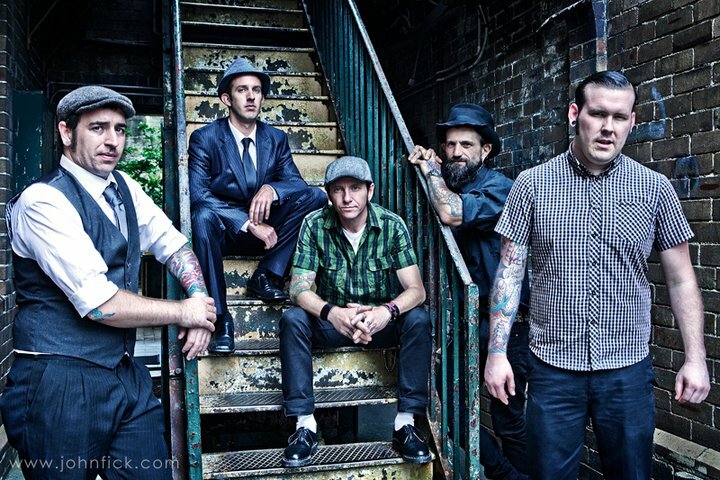 If you like The Pouges, Flogging Molly, Billy Bragg or the Dropkick Murphys, or just some good ol' drinking music, these guys will be right up your alley. This will be my first time seeing the lads, although we do have their album, Gangs of New Holland, I'm looking forward to it! Ahh The Saucermen...now what can I say about these guys?! The only local band on the line up friday night, I know they are going to put on a good show. These boys have been playing about Adelaide for 7 years now, and have built up a loyal fan base (myself included). I don't even know how to describe their sound but it is AWESOME! 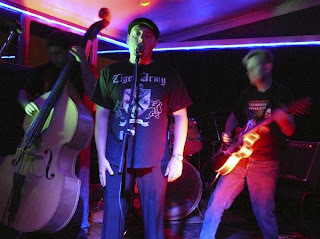 Rockabilly, psycobilly influnced by reggae and punk rock, the Saucermen make anyone with ears want to dance! If you are from Adelaide and haven't heard The Saucermen...get on down to their next gig and get into it! Also happening on friday night will be pleanty of stalls, which will inculde my talented fiance, Sam aka Tiki, and friend Curt aka Tubby's pin stripping stall. Sam has something special organised and I can't wait to show you but it will have to wait til after the weekender. There will also be pleanty of clothing, music and art stalls to splash your cash on! Oh I forgot to mention pleanty of drinks, dancing, fun and mischief with my gal pals! That's what it's all about!